As a part of the Community Howard Health Network leadership training stems a volunteer project on November 15, 2017. This year it was held in Kokomo with a few hours of volunteers throughout the community. 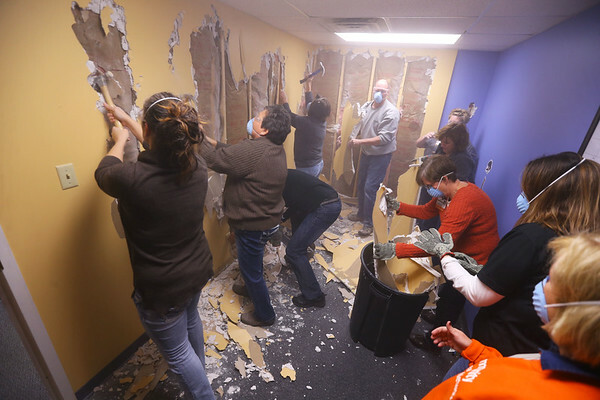 This group is taking down walls at the United Way building.